We've already seen the introduction, architecture of GDS in a previous article; this article explains how to install Global service managers and deploying GDS to the Data Guard and go through with the GDSCTL command line interface. Installation of the GSM is similar like we install RDBMS product, the software dump first we need to extract from the zipped file and ensure able to run GUI by enabling xdisplay. Before installing the GSM lets clear where we are going to install the GSM and where the primary and standby databases are available. 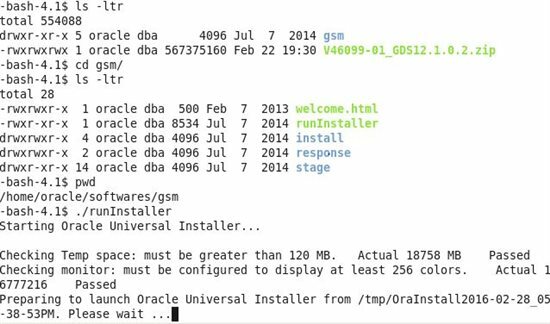 From the staging directory of GSM the runinstaller can be launched directly and no more settings/configurations required. 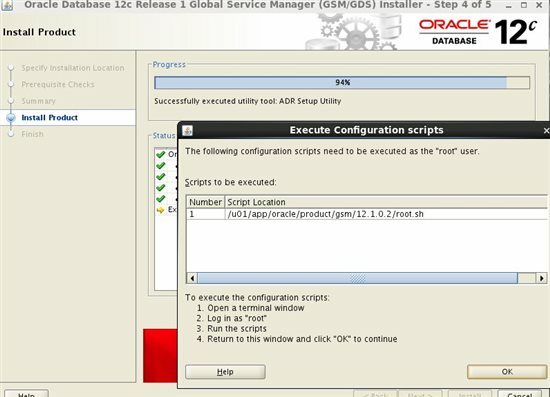 start the runInstaller to install Global service manager on host ORA-X2. The prerequisite checks will be performed if any RPMs are missing or insufficient disk space and so on. After the confirmation , installer will be started. After the installation finished, need to execute the root.sh script of GSM_HOME from root user. If the GSM servers are more than one, then repeat the above steps in each GSM server. 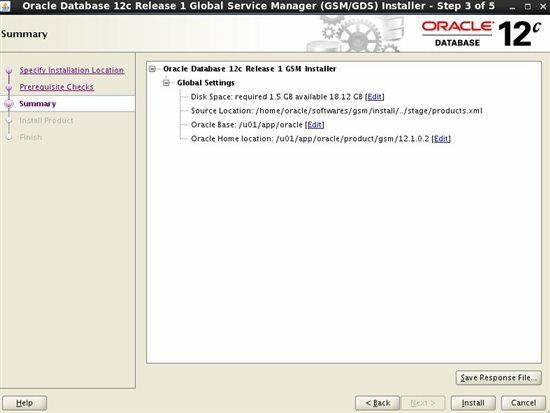 In order to store the GDS metadata configurations and real time statistics and the load balancing information GDS needs the catalog database to store all kind of information, Hence create a database using DBCA or manually and finally configure oracle net service connection to the GDS database. We need to add the below net service of GDSCAT into all other pools (primary database, physical standby or OGG database) or any other available databases which are part of the configuration and also need to add pool databases service name into GDSCAT server, so that all the databases are reachable from/to GDSCAT database. Basically goal is to configure N to N connectivity between all the databases. 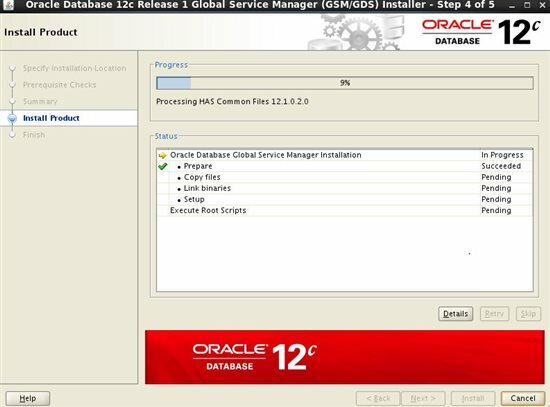 From the 12c we are aware Oracle introduced many users such as to manage Data Guard broker we have user SYSDG and to manage backups we have user SYSBACKUP, like wise to manage Global data services we have dedicated users. These users will be the part of database during the creation. We have to configure the accounts from the primary database and also the GDS catalog databases as below. Connect to the primary database and ensure the account "GSMUSER" is available and accessible. Test Connection to GDS Catalog. So far we have performed ground work to install the GSM software and create necessary accounts from the pool database and the catalog database, now based on the accounts we will start configure the GSM. The port of the GSM which we are adding should be different, so assign the new port. - Database should be in Open/Read-Only status. Instance "canada%1", name: "canada", db: "CANADA", region: "na", status: ready. - This can be checked even using gdsctl utility and also from OS level. Service "GDS$CATALOG.oradbcloud" has 1 instance(s). Service "_MONITOR" has 1 instance(s). Service "_PINGER" has 1 instance(s). Service "finrw.canada.oradbcloud" has 1 instance(s). Service "CANADA" has 2 instance(s). Service "CANADA_DGB" has 1 instance(s). Service "canadaXDB" has 1 instance(s). Client connection using new service. 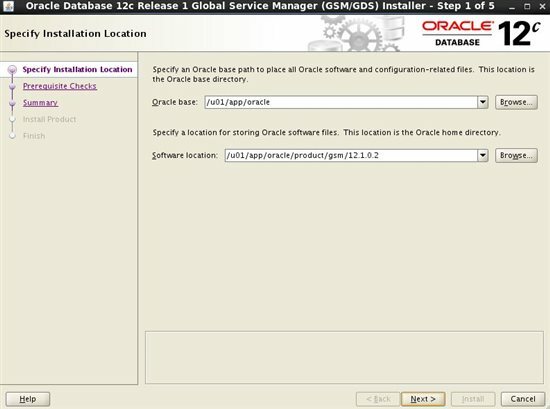 We've seen how to install Global service manager and configuring the catalog database and adding global service managers to global data services catalog, Creating regions, pools, starting and stopping GSM, Monitoring the GSM processes and creating service and test case of client connection using the new service name in step by step manner.